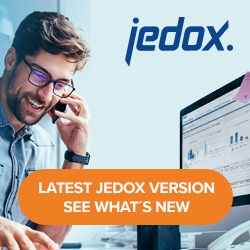 Jedox Integrator offers sample projects which show the usage of various features and capabilities. The Integrator Samples can be installed via the Jedox Marketplace. The samples cover a wide variety of topics, from specific extracts of data sources, and the processing of data via various transforms, to loading data into Jedox OLAP Server, or other storages. Most of the projects are ready-to-run. Some projects do not include a load, but instead only demonstrate the usage of an extract and / or transform. Other projects may require a specific source system, e.g. a relational database. The Integrator Samples package also includes a spreadsheet, which contains an example php macro allowing to retrieve a list of Integrator projects, and to start a specific job from one of the projects. The spreadsheet can be found in the Reports Designer, at Models / Integrators Samples.For usage in a different report, the macro would have to be adjusted; for example, the code which reads contents from the spreadsheet, such as the selected project, might have to be changed. Source data files which are used by some of the samples, like .csv files, can be found in the same location, in the folder “Files”. This folder also is the target for file loads from the sample projects.